A lot of customers are surprised that we can get HD quality from the movie film, but we can do this because film has an amazing amount of quality in it, & we can capture all the details with our frame by frame transfer. Prices above are for SILENT film. See film with audio details. 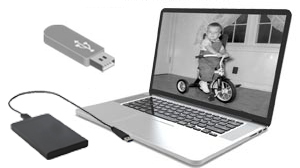 Professionally Transfer your Movie Film to DVD and MP4 Digital Video Files. 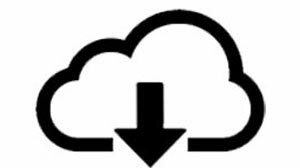 We can transfer your files in either HD or SD, saved to a disc or save it to the cloud! 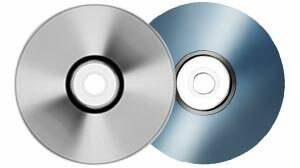 A Blu-Ray will provide you a disc you can watch on your TV capable of 1080 resolution. To add a Blu-Ray to your order it will add $29.95 for every 2 hours of video. You can download all your movie film for $1.00 per GB. Save to a disc: $5.00 per disc. 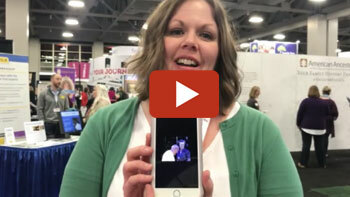 Digital MP4 Video Files are the digital version of your movie film. This will allow you to put these files on your computer, where you can edit your videos, upload online & easily share with family. You guys rock! I'm so happy to have these old family movies on a digital format now, and I can't wait to use them to make some Christmas presents! Turnaround time was great, and I appreciate the communications between the time I mailed them and got them back, so I knew that these precious memories were safe. Before reaching out to you guys, I researched online and checked out several other companies. Your prices and timeline were by far the best choice. I also spoke to someone on the phone before I sent my videos in, and she was sweet and helpful. All film will be cleaned, lubricated & old splices will be repaired. We do all of this by hand before we transfer your film to digital. Over the years, your movie film can collect dust, dirt, and fingerprints. If this isn't cleaned prior to being transferred to digital, it will show up in your digital files & DVD. This is why we clean the film to clean off the dust & fingerprints. Old splices can come loose as your film ages. Before we transfer your movie film, we will repair any of your broken splices to give you a clean, smooth transfer. 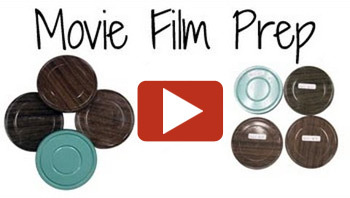 The dyes in movie film fade over time, which leaves your movie film faded & discolored. Hold your film up to the light, if the film has a strong hue of color, your movie film has begun to discolor. 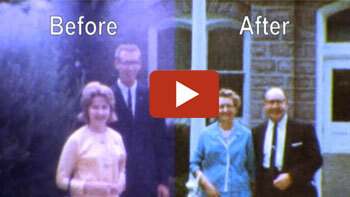 Luckily we can digitally color correct your movie film once we have transferred it to digital. 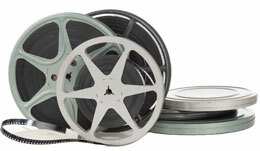 Industry standard is to splice smaller reels onto larger ones to make transferring movie film to digital more efficient. When we transfer movie film with an audio soundtrack, it takes significantly more time to set up each reel to ensure that all of the audio is captured and is synced with the video. Due to this, if you need to make a special request that we do not splice your smaller reels onto a larger reel, there will be a $2.50 per reel fee.